The makeup for the Math Placement Test is this Saturday, April 6. 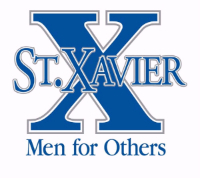 If you did not attend the Math Placement Test on March 30 and you have not registered for the makeup test on April 6 or April 9, please email Alex Nikias, anikias@stxavier.org. All incoming freshmen must take the Math Placement Test. 1) Arrive by 7:50 a.m. and meet in the main lobby. 2) Bring pencils, erasers, and scrap paper. 3) Calculators and smartwatches are not allowed. 4) Part I: 8 a.m.- 9:30 a.m.; Part II: 9:30 a.m. - 10:30 a.m. Students will be allowed to leave when they are finished testing. 5) If your son is taking the optional Part II, he must submit a teacher recommendation form by April 12. 6) There will not be a meeting for parents during makeup testing. If you have any additional questions, please email Alex Nikias, anikias@stxavier.org.